Republicans in Senate District 35 on Saturday endorsed Republican activist and blogger Andy Aplikowski to replace Sen. Branden Petersen, R-Andover, in the Minnesota Senate. Petersen announced in September he would be resign from the Minnesota Senate. 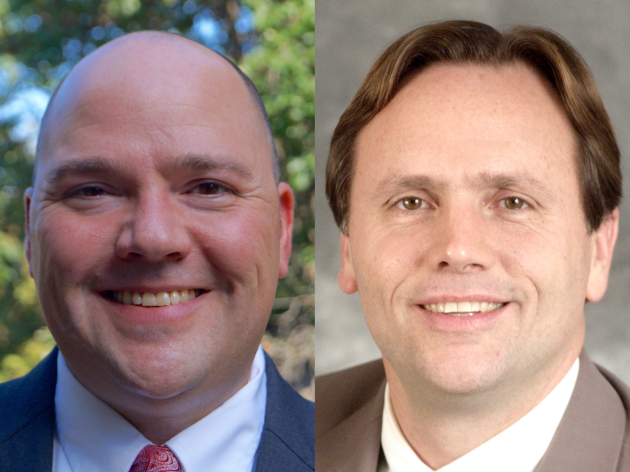 Aplikowski will face Jim Abeler, who served in the Minnesota House of Representatives for seven terms, in the primary election scheduled for January 12, 2016. The special election to replace Petersen will be held on February 6, 2016. Petersen had previously said he would not seek re-election to the Minnesota Senate in 2016 and both Abeler and Aplikowski were announced candidates when Peterson said he would be resigning. Aplikowski, who works for his family's manufactured home community, was endorsed on the fourth ballot at Saturday's convention over Abeler. Two additional candidates, Brad Sunderland and Donald Huizenga, had sought the endorsement on Saturday, but later withdrew from convention during the balloting. Both Abeler and Aplikowski have received support from Republican senators in the Minnesota Senate. Aplikowski was endorsed by Sen. Dave Thompson, R-Lakeville. Abeler was endorsed by Sen. Bill Ingebrigtsen, R-Alexandria, Sen. Scott Newman, R-Hutchsinson, Sen. Julie Rosen, R-Fairmont, and Sen. Torrey Westrom, R-Elbow Lake. Local Republicans have expressed concerns about Aplikowski's candidacy, due to comments written by Aplikowski on his blog and social media. The committee which interviewed and screened the Republican candidates for the endorsement noted Aplikowski was being nominated with "reservations" because of "inflamtory blog statements" written by Aplikowski. Alex Huffman, who had filed a campaign committee to run as a Republican in Senate District 35, but later withdrew, said this morning he is backing Abeler. "I feel Andy is vulnerable to losing a general election and I don't think Jim is," said Huffman. Abeler, a licensed chiropractor, said last evening he is "more comfortable" running in the primary and has been organizing for a primary challenge since he announced his campaign in September. Aplikowski said this morning he is "running a positive campaign" and Abeler will face an "uphill battle" in the upcoming primary election. Since winning the endorsement, Aplikowski said has spoken with officials with the Republican Party of Minnesota and with the top Republican in the Minnesota Senate, Sen. David Hann, R-Eden Prairie, who all pledge to support Aplikowski in the primary election. "They are going to defend the endorsement," said Aplikowski. Aplikowski acknowledged Republicans have expressed concerns about his past blog postings, which he described as "some bad language I used online." He said an undiagnosed sleep apnea condition contributed to his harsh online commentary and his health has improved since being diagnosed. "When you wake up tired and crappy every single day, it clouds your judgment and filter on things you should say and do," said Aplikowski.